40 episodes of This is Life Unfiltered in, wow! I can’t believe 40 weeks of my podcast are online. Since then, Fearless Everyday on Radio Disney launched, I moved to LA, I have met so many incredible founders & young entrepreneurs…and I have woken up every single day (okay, most days) feeling more inspired than I’ve ever felt in my 20 years of life. I hope you guys have enjoyed following the journey of This is Life Unfiltered. I love hearing your honest feedback after EVERY episode-seriously! 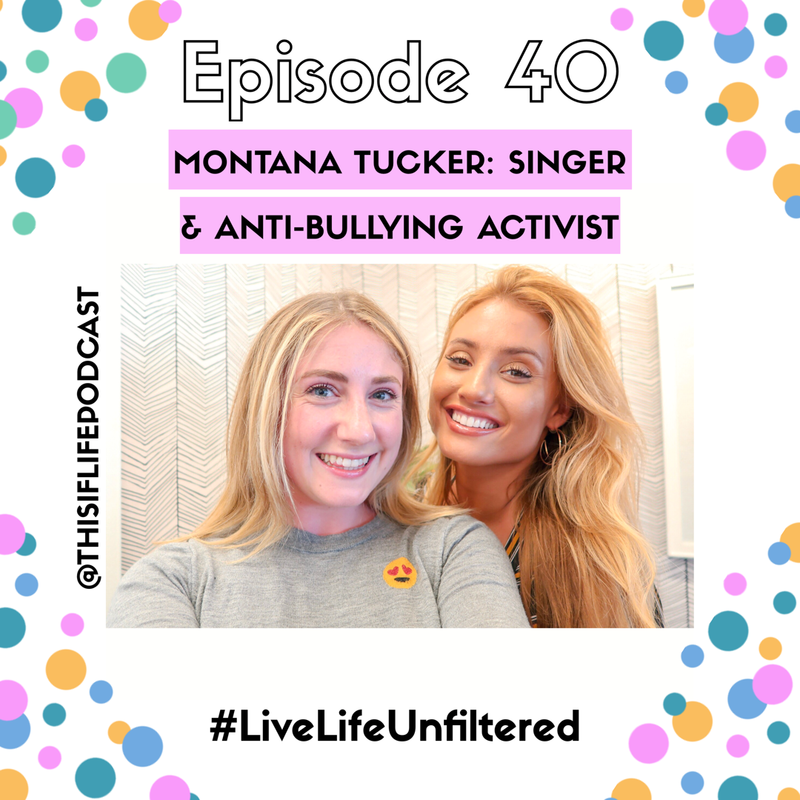 Episode 40 is with Montana Tucker, a singer & anti-bullying activist who I interviewed on Fearless Everyday. Because I only get to interview my guests on Disney for a limited period of time, I always take time after every episode to ask them some new questions or dive further into their story. I’m very intrigued by how people got to where they are, and talking to my guests always teaches me something new. Listen to Episode 40 on iTunes/SoundCloud & Spotify!